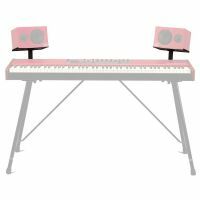 The new MatrixBrute flight case lets you to travel arond the globe without any worries about your synth. 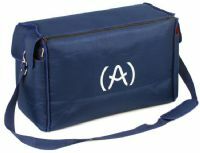 The aluminium frame, shock-absorbent interior padding and the wheels make the everyday struggle a lot more comfortable. 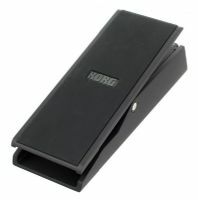 Smoother and more compact: A new model of expression/volume pedal. RackBrute 6U is an all-inclusive Eurorack case ensuring the total security of your modules and maximum practicality in all conditions of use. 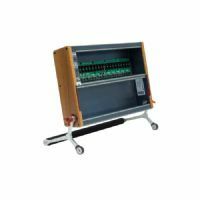 Its multi-position configuration and included dependable power supply make it the true specialist solution. RackBrute 3U is a comprehensive Eurorack housing, transport, and protection solution. Featuring configurable positions, dependable power supply, and maximum practicality, you can be assured your precious modules will be well guarded. 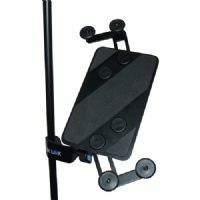 Clever, safe and practical design allows musicians to integrate their tablet with existing microphone and sheet music stands, for use on stage, production studios, in the rehearsal room or at home. 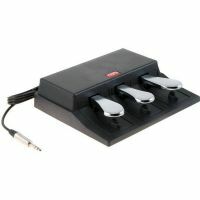 A pedal unit with three pedals, ideal for piano practice. 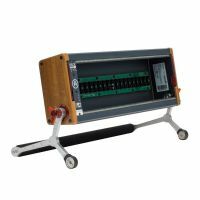 The Clavia NP3 Nord Triple Pedal offers an unprecedented functionality, with the addition of a dynamic control of the mechanical noise during operation, and the ability for you as a player to use half-pedalling and "release and catch" techniques. Expand your keyboard's capabilities with the Korg PS-3 Momentary/Sustain Footswitch.